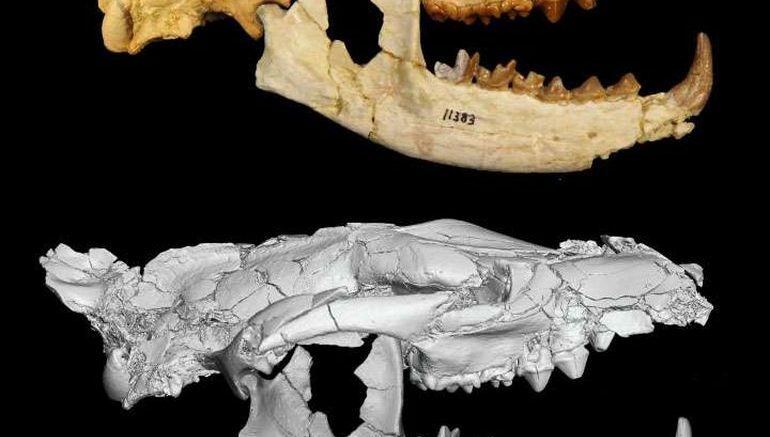 Researchers studying Egyptian fossils have discovered an entirely new species of prehistoric carnivorous mammals known as hyaenodonts. According to the study, recently published in the PLOS ONE journal, these fascinating creatures can be regarded as predecessors of modern-day terrestrial carnivores, residing in places across Africa, Asia, Europe and North America. Hyaenodonts, however, were a group of both arboreal and terrestrial animals. Led by Erik Seiffert of the University of Southern California and Matthew Borths from Ohio University, the team analyzed 34-million-year-old fossils, which in turn led them to identify a hitherto-unknown species of hyaenodont. Similar to a skunk in size, this ancient animal called Masrasector nananubis actually derives its name from the canine-headed Egyptian god of mummification and afterlife Anubis. As revealed by the researchers, the newly-uncovered hyaenodont species was most likely a teratodontine living during the Paleogene Period. In fact, the fossils provide the most complete remains of a teratodontine species ever found, including excellently-preserved jaws, skull as well as limb bones. Structurally, teratodontines were closely related to Hyainailourinae, another hyaenodont group that is believed to have been hypercarnivorous (with diet containing up to 70-percent meat). Hyaenodonts were the the top predators in Africa after the extinction of the dinosaurs. This new species is associated with a dozen specimens, including skulls and arm bones, which means we can explore what it ate, how it moved, and consider why these carnivorous mammals died off as the relatives of dogs, cats, and hyenas moved into Africa. 1 Comment on "34-million-year-old fossil remains lead to the discovery of a new species of prehistoric carnivorous mammals"